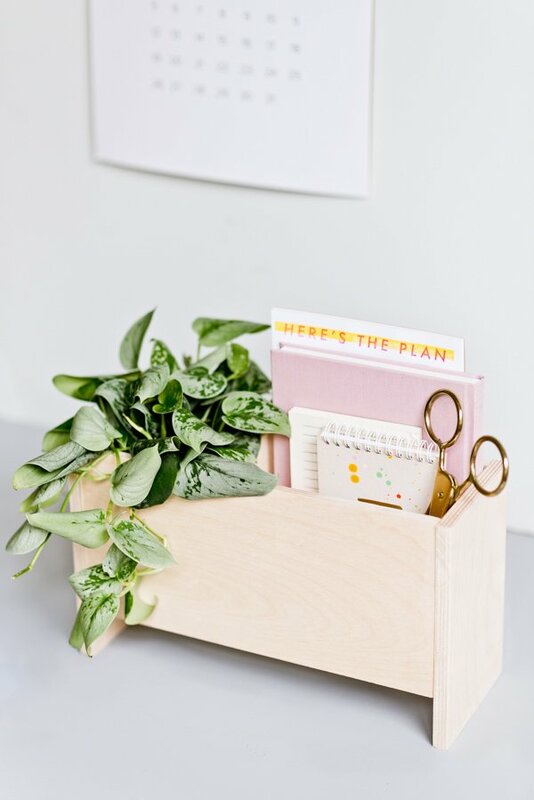 I’ve been in major organization mode lately and needed something for my desk that would keep my day-to-day items handy but organized. Because usually, I just have tons of stuff on my desk and it gets super annoying after a while. 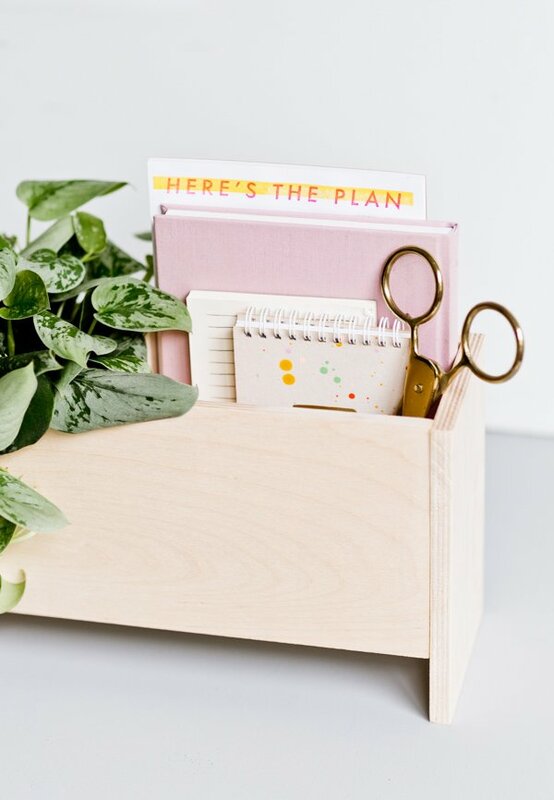 So, I made this modern DIY desk organizer that doubles as a planter to keep my papers, notebooks, scissors, etc close by without taking up all of my desk space. 1. 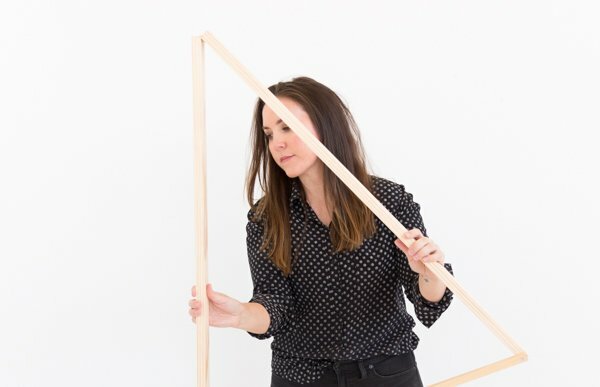 Start by cutting down all of the wood you need for the project. I was able to find a few of the pieces at my local art supply store in the exact dimensions I needed, so I only had to make a few cuts for the extra pieces that I needed. As you can make straight cuts, it’s super easy to do yourself. Especially if you’re using a smaller power tool, like this one (which is what I use). Once you have the pieces cut, sand if necessary for a super smooth finish. Here are the dimensions…. 2. Next, add wood glue to the two long sides of the bottom piece of wood (the bottom piece is 4 x 12 inches). The piece that I’m holding in my hand in the photo is actually the bottom piece and the one that’s on the table is one of the side pieces that will soon be attached. 3. Attach the two long side pieces (the 6 x 12 inch pieces) to the bottom piece. These two long side pieces will cover up the sides of the bottom piece to create a seamless look. 4. Next, add wood glue to bottom and two sides that will touch the other wood pieces for the middle divider (which is the 5.5 x 4 inch piece) anywhere you’d like to the inside. I did mine off center, so I’d have one large side for notebooks, etc and a smaller side for pens, pencils or even a plant. 5. Use two table clamps to clamp everything together while drying, as shown in the photo. Then, use a slightly damp cloth or paper towels to wipe away any excess wood glue that you can see coming out from the joints. Let the entire piece dry overnight (or according to drying instructions on your wood glue packaging) with the clamps still attached. 6. Remove the clamps, make sure that the entire piece is secure / solid and then move onto the raised sides. Add wood glue to both of the remaining sides that are still open. Then, flip over (so the very bottom of the piece is facing upward) and attach the two remaining wood pieces (these are the 4.75 x 7.5 inch pieces). You want the ends of each of those two pieces to be up in the air, like you see in the photo. Those excess ends will become the legs of the organizer when you turn it back over to use. 7. Clamp everything together one more time. Use a slightly damp cloth or paper towel again to wipe away any excess wood glue that you can see coming out from the joints. And let the entire piece dry overnight (or according to drying instructions on your wood glue packaging) with the clamps still attached. 8. 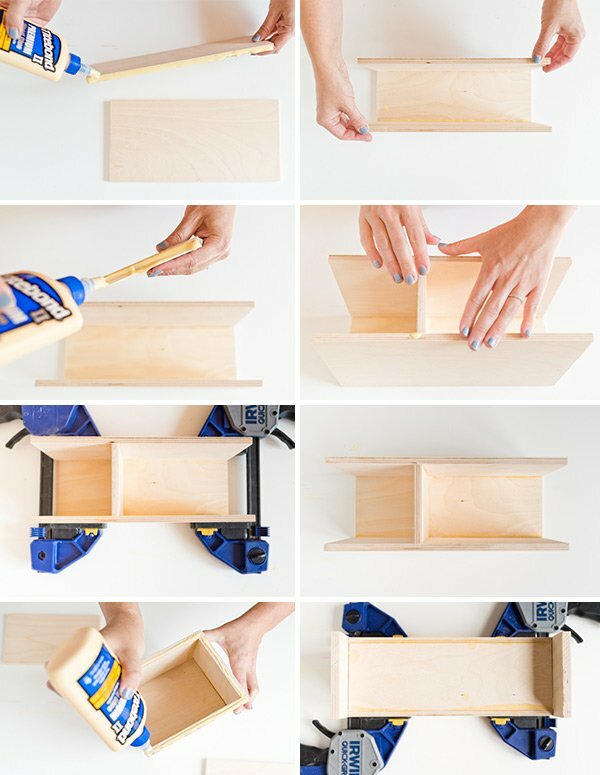 Remove the clamps, flip the organizer over and it’s ready to use. If there are any areas that seem un-level, you can easily fix it with an electric sander or sand by hand (which will take more time but still totally works). Just be sure to dust off all of the sanded areas before using. Note: If you want one side (or both sides for that matter) to be used for housing plants, be sure to insert a plastic liner or something similar before adding your plant. The liner will catch the water and keep your wood from getting wet. 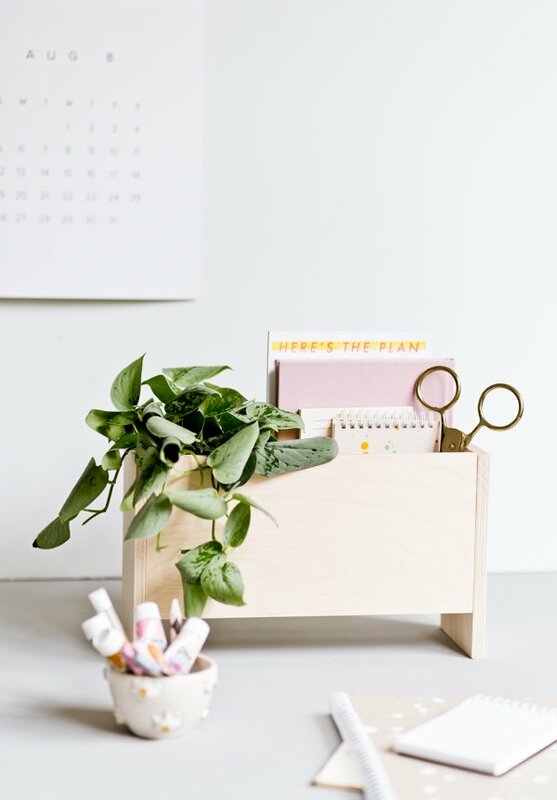 What do you think of this DIY desk organizer? Do you think it would make for a cool back to school project? 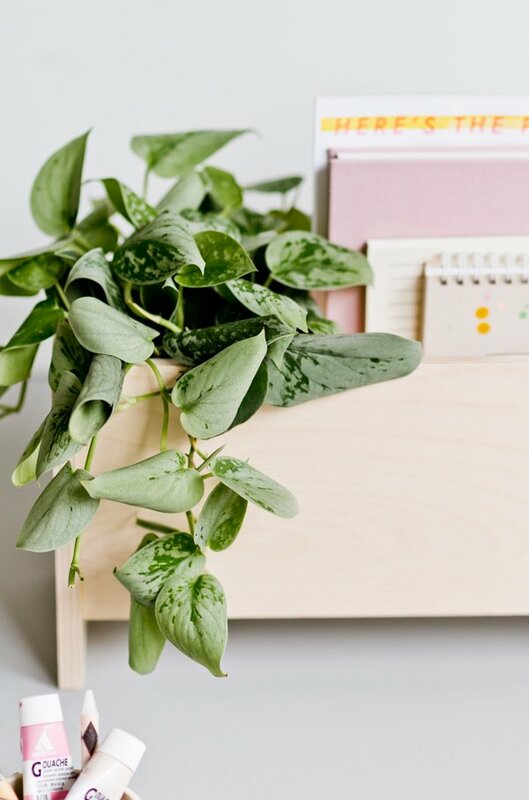 I love the simplicity and the addition of the plant, it looks so good! Thanks Jessica. Big plant baby fan over here too. 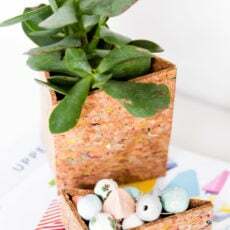 The combination of unfinished wood + the plant is lovely! Thanks Ursula. 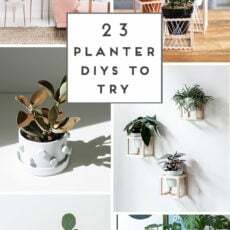 That plant is one of my absolute faves in the house. 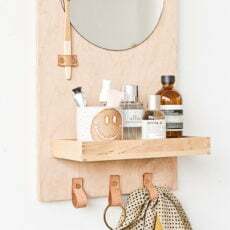 I really love wood DIY, as its easy and looks very beautiful in making for all ages. Thanks Baia and Ann. Happy to hear that. This is so cute! Definitely want to give this a go! This is so cute! 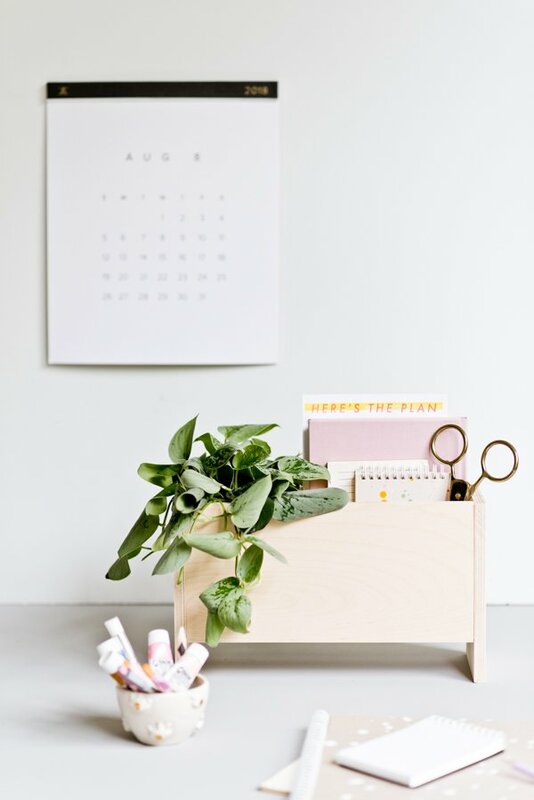 I definitely need to make myself a desk organizer! It gets out of hand so fast!